We believe in the power of cooperation and volunteerism. Every year several hundred volunteers join us to help the foundation’s work and cooperate toward a common goal, donating their time, knowledge and energy. Without our volunteer board members, committee members and other volunteers we wouldn’t achieve so much, but we’d like to count on your help as well! In case you would like to be our volunteer please download and fill in the application form and contact Zsuzsa by mail: zsuzsa.szikszay@unitedway.hu. Should you like to organize volunteer days to get your employees or colleagues more engaged, we are here to support you! Click here to find out more! 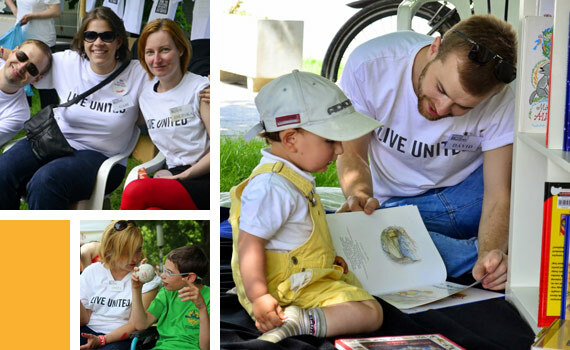 Or, should you like to support us, there are many ways to help through United Way Hungary. Please click here and learn more about how can we help together!